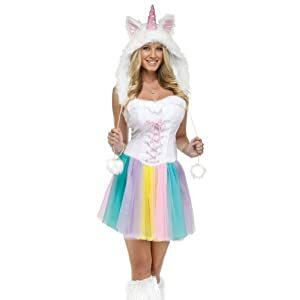 Become a magical creature this Halloween when you select a unicorn costume to wear. 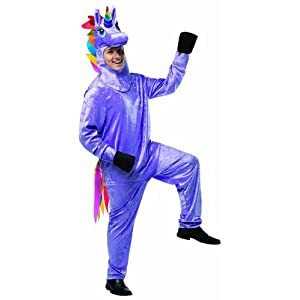 Unicorns were first found in Greek accounts of natural history. They were described as one-horned horses located in India. 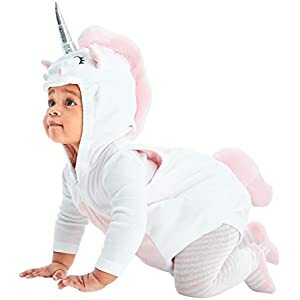 The search for a unicorn has taken on mythical proportions. It is believed that they can only be caught by a virgin. And their horn is believed to have magical properties. 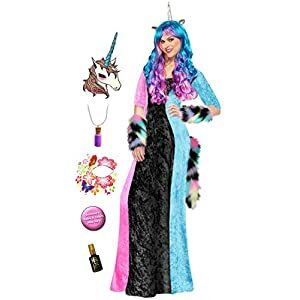 Shop Unicorn Costume Accessories It is believed that a genetic mutation of two horned animals might have been the original source of the unicorn myth. In Italy, single horned roe deer have been spotted. And it is possible that a single horned eland, a large antelope with two horns, existed at one time. LOVE IT OR YOUR MONEY BACK – We’re so confident your child will love our onesies that we offer a lifetime guarantee! If you don’t love the onesie, or the material doesn’t hold up for any reason, simply contact us for a refund. KEEPS YOU WARM AND COZY – Your kids will feel the soft, ultra-plush material when they wear this onesie. It will keep them comfortable, warm and cozy while wearing it either to sleep, hang out or at a party! 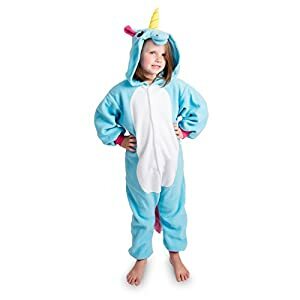 EASY TO TAKE ON AND OFF – Our one-piece unicorn pajama onesie features snap buttons so that your child can put it on and take it off easily. Side pockets make it easy to carry small items. 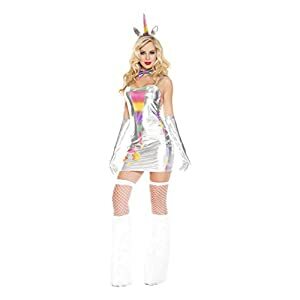 The unicorn costume is a fun and colorful costume to wear. Includes jumpsuit and headpiece. Body: 100% Polyester; Tummy: 72% Polyester, 28% Nylon. Imported. Machine Wash.
100% polyester brushed flannel, interlock knit, satin, knit mesh & faux fur. White flannel bodice has metallic interlock belly & white knit mesh puffed sleeves; fastens w/ Velcro at back. Tutu skirt has satin base layer overlaid w/ vertical strips of pink, turquoise, lavender & yellow knit mesh. 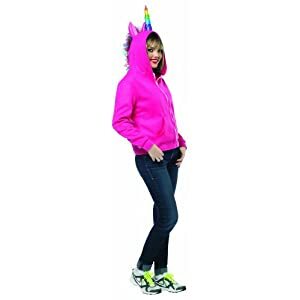 Ha ha hoodies are simple costume alternatives that are funny and can be worn year-round. This is an original rasta imposta design. 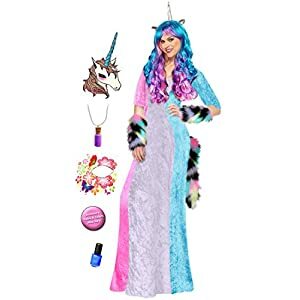 Includes, Dress, and Hood with Horn. Bonus – Matching Boot Top Covers also included. Large – 3T/4T. 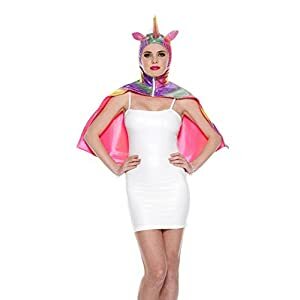 Includes: headpiece, dress. Size: child medium 8-10. 100% Polyester. 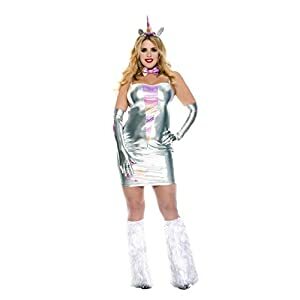 Fun World Women’s Unicorn Costume for sale for Halloween. 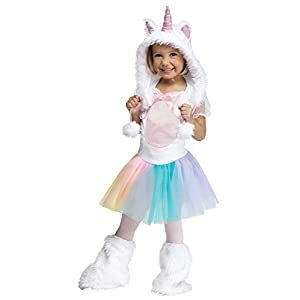 Includes white thin plush dress with attached tutu dress in pastel colors, lace up front with faux fur trim, faux fur trimmed hood with horn, ears, and pom poms, and faux furry boot covers. A super value. 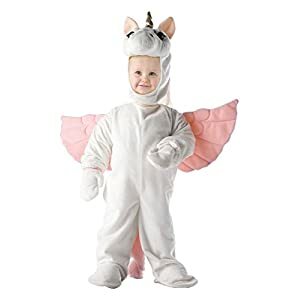 Unicorn infant costume includes jumpsuit with attached tail and headpiece. 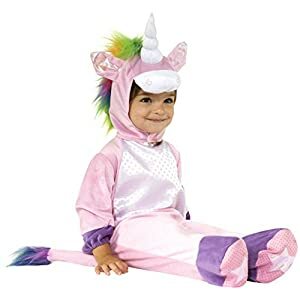 Pink plush with iridescent ears and stars on the feet, rainbow mane and tail fluff, and purple trim. 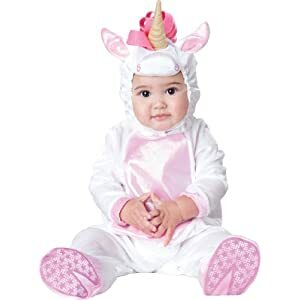 Available in sizes 0-6 months (up to 21 inches tall, up to a 21-inch waist), 6-12 months (up to 22 inches tall, up to a 22-inch waist), and 12-18 months (up to 24 inches tall, up to a 23-inch waist). Attached hood with ears and horn. Zip front cape. Metallic rainbow. 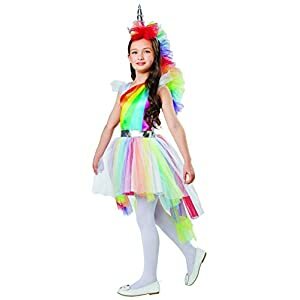 Complete with top, tutu skirt, tail, headpiece and glovelettes. 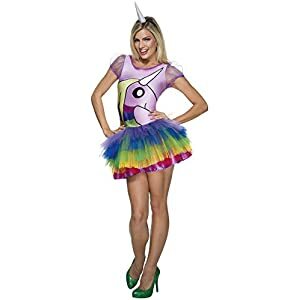 Fun, colorful costume comes complete and ready to shine. Rainbow fluffies not included, look to rubies for a dozens of furry leg warmer designs. 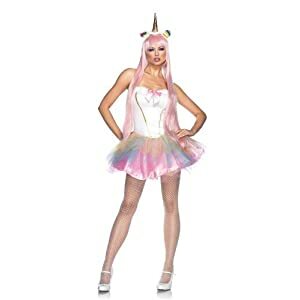 Rubie’s Costume Co Women’s Adventure Time Lady Rainicorn Costume for sale for Halloween. Leggings with all-over minion print. Women’s standard size fits up to size 12. Fun for casual wear or use as the base of your minion costume. Metallic shiny extra long gloves. Rainbow printed detail. Bow tie choker. 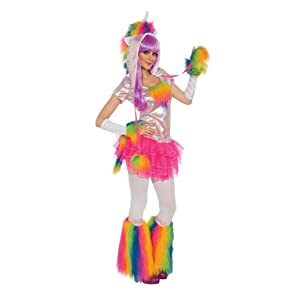 New costume for 2013. Looks great with neon fishnets. Metallic mini dress with rainbow patterns. Long metallic gloves. 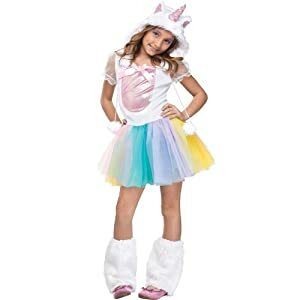 Unicorn headpiece with horn and ears.